All guidebooks updated February 2019! Kathmandu Valley Heritage Walks (PDF):: Over 360 pages with 28 original & in-depth heritage walks throughout the Kathmandu Valley. 58 maps, 20 diagrams & 1000 + photographs. The perfect book for heritage enthusiasts or for those who want to explore new places, rediscover old favorites & discover all new heritage walks (print edition also available-see book details for more). 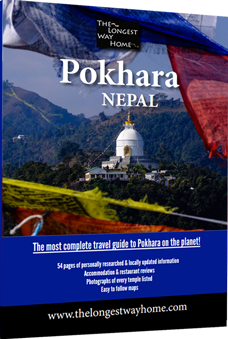 Total package: contains all the guidebooks on this page (except trekking, heritage & country guide). Includes: Kathmandu Valley, Kathmandu city, Bhaktapur, Patan, Boudhanath, Pashupatinath, Pokhara, Chitwan, Bardia & Lumbini. 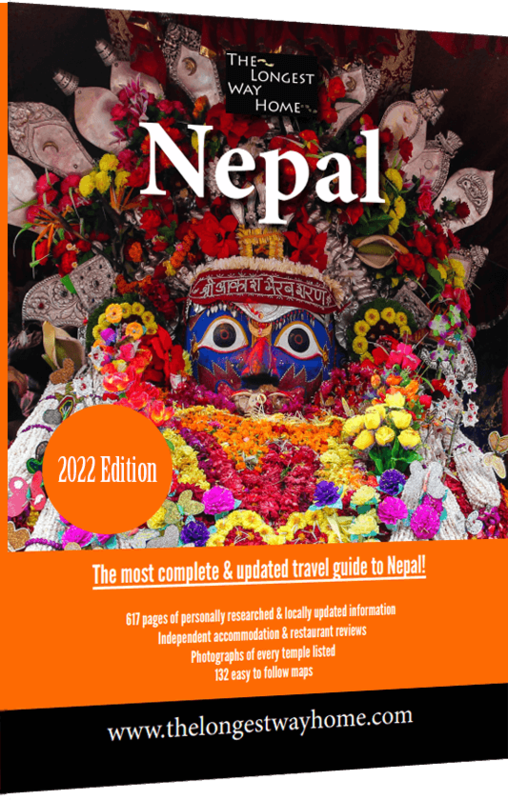 Complete package: contains the full digital Nepal Guidebook plus the Kathmandu Valley Heritage Walks book. With this package you get the very best Nepal experience with the most up to date complete guide to the entire country plus in-depth heritage walks across the Kathmandu Valley. I've spent years researching these guides so you won't miss out! » Interactive PDF's! No more swiping your tablet or phone wishing you had a print guide. » Dedicated walking tours. Easy to follow maps with inbuilt photos and walk through instructions. » Never miss out! All temples, locations & sights are photographed, described & documented so you'll know 100% where & what they are! » Find out what you can skip. What tickets let you into other places for free. » Get the best hotel reviews with the lowest rates already found for you! » Take a tour or go independently? Find out when it's cheaper to go on a tour bus or to hop in a taxi. I know Nepal & I know all the current guidebooks: that's why I've written better ones! » Fully up-to-date & written on location! » Traveler to traveler these guidebooks have been user tested on the ground LIVE in Nepal! » They work on laptops, tablets, mobiles & are printable too! Every single guidebook is 100% independently written & researched. There are zero sponsored hotel stays, meals or tours. Everything is paid for personally so we can all get an honest experience & a better idea on what to expect.
" Comprehensive guide with really helpful hotel & restaurant reviews ... "
" I really found the walking tours with photographs helpful." " I'm going back to Nepal and this is the only guidebook I'm taking! " Earn a generous commission by joining my partner program so you can sell these books on your own site: use the contact page below to get more details.